On Sunday, April 15th, I will be attending the West Coast Explorers Club Annual Dinner. As a member of the Explorers Club, I enjoy the opportunity to meet with professional, amateur, and armchair explorers to discuss topics ranging from Arctic expeditions to tribal cultures to ocean mysteries. 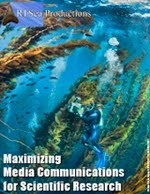 Part of the evening will include an award presentation to renown National Geographic photographer Emory Kristof. But on this particular evening, there will also be time to contemplate an historic tragedy that took place in the wee hours of the morning of the same day, 100 years ago. As midnight approached on April 14, 1912, 100 years ago the luxury ocean liner, Titanic, had an unexpected encounter with nature that would seal the great ship's fate in less than three hours. A glancing blow along an iceberg off the coast of Newfoundland started a sequence of events that led to one of the greatest maritime tragedies of all time. Most of us know the particulars - we've read the stories, seen the long parade of television programs, and watched the movies, particularly James Cameron's blockbuster film of the same name. With all tragedies there are questions to be resolved and the Titanic surely had its fair share of riddles and mysteries, many of which have been solved but some still persist to this day. There have been several Titanic-related news items that have appeared recently, timed I'm sure with the upcoming centennial. One has to do with questions regarding the Titanic's captain's seemingly casual response to reports of approaching icebergs. Captain Edward Smith was the most experienced captain in the White Star Line and many have wondered why he never took the reports more seriously and initiated corrective measures. One rumor was that he was under pressure to remain under full speed, a directive coming from J. Bruce Ismay, head of the White Star Line and a passenger on the fateful voyage. But Capt. Smith was a master of transatlantic crossings and knew the risks involved. Now, research that will appear in the April issue of Sky & Telescope presents astronomical evidence to show that possibly Capt. Smith was acting in accordance with his past experience with the occasional iceberg but could not have foreseen the ice that was moving into the normal shipping lanes because of an unusual occurrence that took place four months before. According to a team of forensic astronomers from Texas State University, a very rare and close juxtaposition of the sun and the moon to the earth in January of 1912 produced exceptionally high tides that could have dislodged icebergs normally originating in Greenland but which get stuck in shallower waters off of Newfoundland. 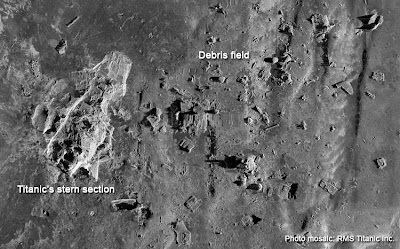 "The lunar connection may explain how an unusually large number of icebergs got into the path of the Titanic," said David Olson, Texas State University physicist, one of the leaders of the research. Long before I was a diver, long before the magnitude of the Titanic disaster really meant anything to me, this ship fascinated me. As a boy, I read my parent's copy of A Night to Remember by Walter Lord over and over. 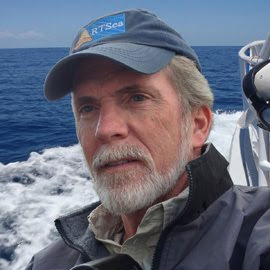 And when I was older, particularly around the time that Dr. Bob Ballard found the Titanic's final resting place, my fascination grew and I collected books and videos on the subject. 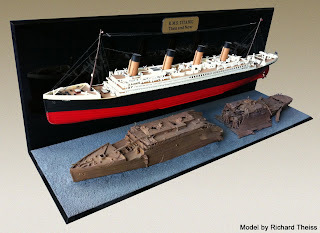 In fact, during one boring stretch of recuperation from some surgery, I whiled away the hours building a model of the Titanic - before and after - using two model kits, one of which I fabricated into the wreck using many of my books' photographs and drawings as a guide. And like many scuba divers, I find diving on wrecks to be an otherworldly experience. There is something intriguing when you come upon a wreck. It seems so out of place; it's not supposed to be here, it should be gliding across the surface above. And yet, here it is, slowly being consumed by nature. 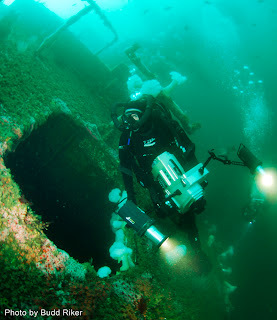 Wrecks can become beautiful artificial reefs, providing a wide variety of sealife with a new and unexpected home. They can also be a hazard for divers who penetrate the hulls if they drop their guard for even just a moment. And as we have all seen with ships like the Exxon Valdez, they can be deadly to marine ecosystems. In the grander scheme of things, like Titanic, wrecks also serve as reminders as to the limits of our mastery of the natural world. 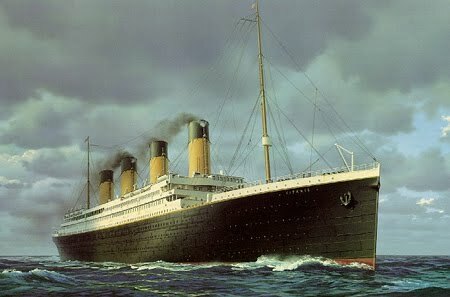 When Titanic slipped beneath the surface of the icy North Atlantic with a rush of escaping air and the groans of twisting metal, taking over 1,500 lives with it, it became a tragic symbol of industrial and technological arrogance and of an upper class/lower class society at the time whose have and have-nots ultimately meant nothing in those freezing waters. 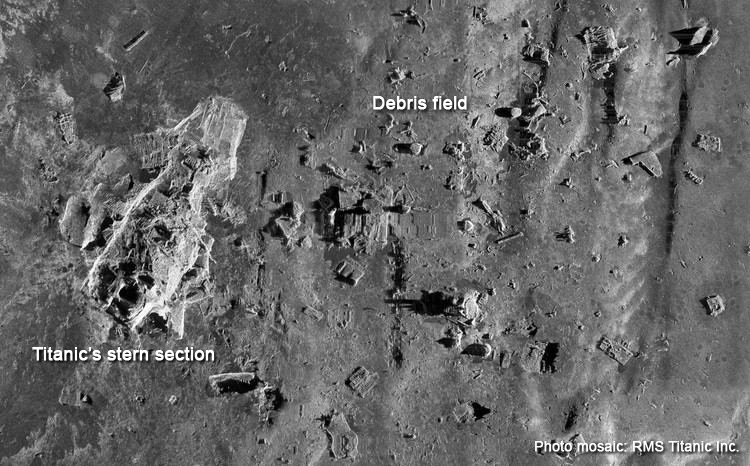 One hundred years later, Titanic rests in two main pieces with debris strewn across a wide area (recent pictures from RMS Titanic Inc, the salvage owners, have been assembled into a startling mosaic of where the ship lies today). With its iron being consumed by microorganisms and bacteria, some say it won't be much longer before the once majestic profile will collapse into rubble. But what Titanic represented back then - the pride, the achievement and the hubris and folly - is that still with us today? This great ship is a constant reminder that without acknowledging nature, we are masters of nothing. Nature provided the raw materials to build the Titanic, and it would seem that when mankind was at its industrial and technological zenith in self-serving luxury, nature reared up and acted swiftly to remind us who is truly the master of our domain. And since that cataclysmic moment, it has slowly been taking those resources back. A lesson to be learned - again and again? A warning once more gone unheeded? Will our fate be, ultimately, not that different from that of the great ocean liner that passed into maritime history 100 years ago tonight?